Picturesque locations abound on the Gatlinburg side of the Great Smoky Mountains, but this multi-tiered waterfall is one of my favorites. The picture doesn’t do justice to the serene beauty. You hear the roar long before you spot the falls. We sat at the base of the falls just to watch and listen. Before you reach the falls (and after the heart-stopping crossing of “the bridge”), the lush green of ferns and wildflowers creates a sanctuary that rivals any of man’s creations. 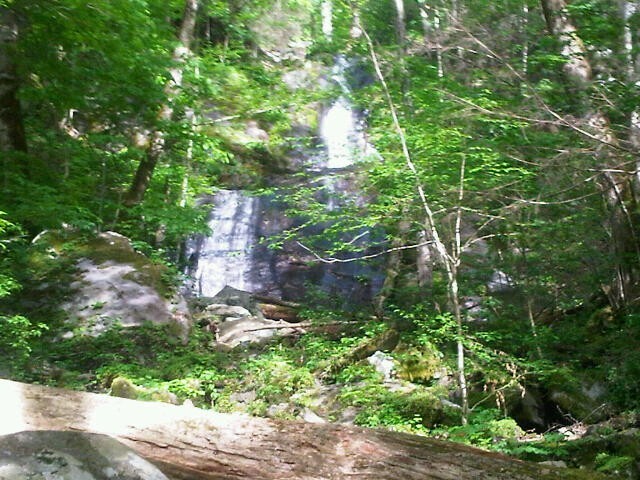 Porter’s Creek Trail has become one of my yearly must do hikes. Goo thing that it’s close to The Foxtrot.